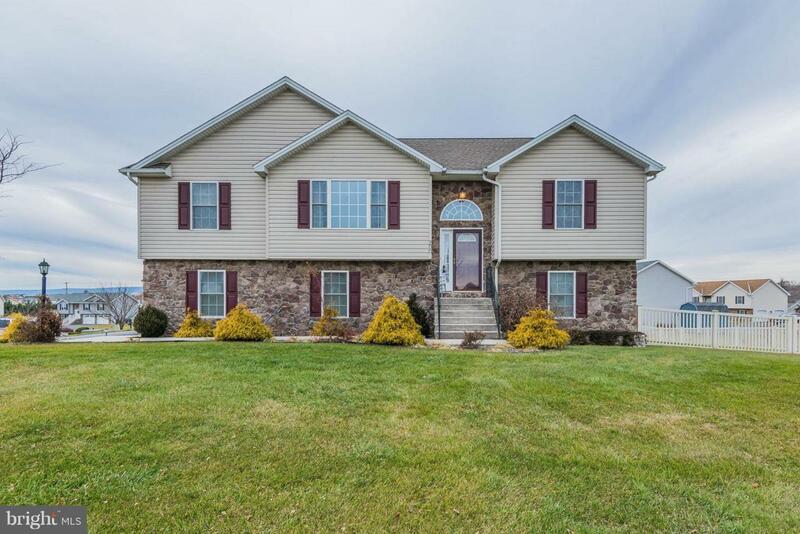 Meticulously maintained and move in ready, 3 bedroom 2 and a 1/2 bathroom bi-level home in Field Crest on the largest lot. 3/4 of an acre to be exact! This home offers magnificent curb appeal with stone accents and hardscaping, a manicured lawn, 2 tier deck with new hot tub and a vinyl fenced rear yard. From the moment you enter this house, you will truly feel at home! Vaulted living room ceiling with fan, double sided gas fireplace and large front window allowing for plenty of natural light. Spacious dining room that easily accommodates an 8-10 person table, hardwood flooring, ceiling fan, and double doors leading to a large rear deck. Newly remodeled kitchen and appliances with center island, attractive backsplash and above and below cabinet lighting. Grand master bedroom with sitting area, walk in closet and master bathroom with double sinks. Family room offers a built in bar and is a great space for entertaining within a short distance to the hot tub! ...And the list goes on... Schedule an appointment today to make this home...YOURS!